A tunnel with light at the other end? That would make an interesting find. This ones an old well in Kerala. That's how most of us who don't live in flats, get our water. And when you live on top of hills, the wells run deep. From Chenganur - Kerala, an uncle's place. 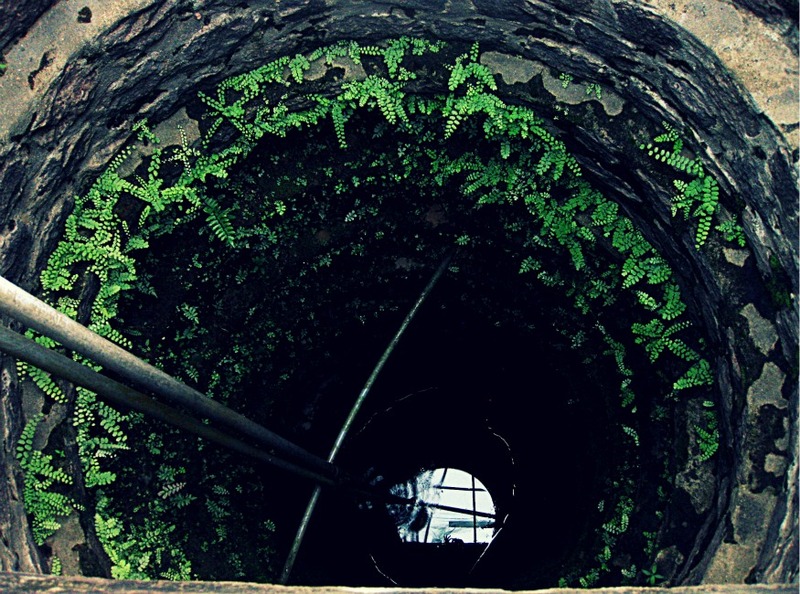 The deepest well I've personally come across was at Idukki - Kerala, which was just over twice the depth of this one. Gotta hand it to the guys who climb down wells, to clean them up.